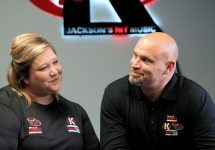 K105.3 Morning Show 4-4-19 : Two Men From Arkansas Get a Bullet Proof Vest / How Big Is Your Personal Bubble / Man Steals Jeep, Forgets Phone, Ends Badly For Him / What Would You Do? 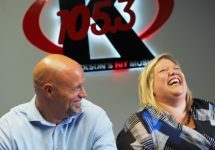 K105.3 Morning Show 3-29-19 : Why Did Mr. Rogers Say He Was Feeding His Fish, When He Was Feeding His Fish / Why Are Twix Food But Snickers Are Candy / Scott Watches Earwax Removal Video Featuring A…. 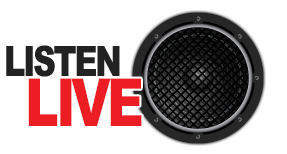 / Waxy Donuts Are Delicious / Sumo Wrestlers Do What To Baby’s For Good Luck???? 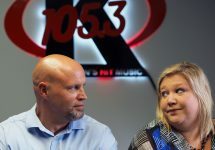 K105.3 Morning Show 3-27-19 : Toxic Positivity and It’s Effects On Kids / Axe Body Spray Backfires During Traffic Stop / Yes, That Is a Snake In My Pants / The Big Dog Plays Over Under / Manpower’s What The Wednesday : What’s Up With Guys Touching The Top Of The Doorframe? 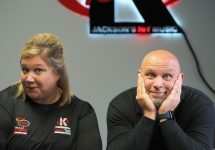 K105.3 Morning Show 3-25-19 : Scott Experiences Monday at it’s Finest / Jackson Area Career Center Cosmotology Program Visits / Bored? Rob a Bank! / Why Does Time Drag For Adults and Fly For Kids?